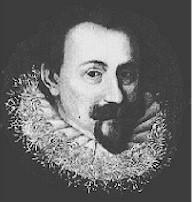 Schein, Johann Hermann, son of Hieronymus Schein, pastor at Griinhain, near Annaberg, in Saxony, was born at Grünhain, Jan. 20,1586. He matriculated at the University of Leipzig in 1607, and studied there for four years. Thereafter he acted for some time as a private tutor, including two years with a family at Weissenfels. On May 21, 1615, he was appointed Capellmeister, at the court of Duke Johann Ernst, of Sachse-Weimar; and in 1616 he became cantor of I3t. Thomas's Church, and music director at Leipzig, in succession to Seth Calvisius (d. Nov. 24, 1615). This post he held till his death, at Leipzig, Nov. 19, 1630. Deal with me, God, in mercy now. This is a good and full translation by Miss Winkworth, in her Chorale Book for England, 1863, No. 191, set to Schein's melody of 1628.